When Danielle Amatulli started Technically Creative (TC) in January 2005, she wanted to create an IT company that provided real solutions in a creative manner. “Creative” meant a company that would look outside the box, innovate for its customers, and provide continuously evolving technical skills to meet each customer’s needs. Initially focused on network security, email, web hosting, web site development, and custom applications, in 2011, Christopher Amatulli joined as CTO and refocused TC toward the re-emerging compliance market of Data Loss Prevention and Protection (DLPP). An original employee of Orchestria, Christopher Amatulli saw the need for a robust surveillance compliance solution. The plentiful news of data breaches from retail to banking had infused the DLP market with new energy and new regulations. As per Gartner’s 2016 Magic Quadrant report for Enterprise DLP, by 2018, 90 percent of organizations would implement some form of DLP while less than 10 percent would have a well-defined data security governance program. That push is predicted to expand the market to $2.64 billion by 2020. TC provides services that fall into two basic categories—customized solutions and support of the CA Data Protection Platform—a complex, flexible platform for DLP compliance and information governance. TC works with several of the largest clients using the products and/or platform to provide advanced support for problems as well as daily maintenance. 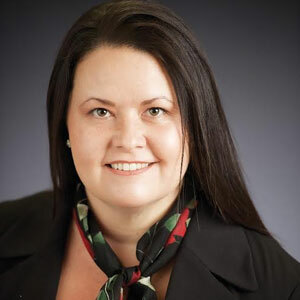 By pivoting their focus to the DLP market and leveraging their deep knowledge of data protection tools, especially the CA Data Protection Platform, “TC found a niche in the compliance market that combines robust support of compliance with creative customization to facilitate their customers’ successful data loss prevention,” says Danielle. TC has also seen an emerging demand for advancements in analytics and support of additional data formats. In fact, market trends show an increase in the volume of data, the complexity of data and data structures. To meet this need, TC has begun providing advanced custom integration technologies such as OCR data reconstruction and analytical based trend reporting and automation. In addition, TC is investing extensively in analytics and researching analytic engines like Spark, Storm, and Flume to enrich surveillance data. Some popular “creative” Data Protection tools are the Reply to Release tool which allows users an email reply capability to review and release messages rather than going to the user interface, and the SMTP receiver—a new ingestion method to send emails directly into the platform rather than relying on data files or general mailboxes which provides the capability for one to one processing and de-duplication. Over the past ten years, TC has been built on hard work, reputation, and word of mouth. They have discovered that one of the biggest challenges for their clients is interpretation of the government requirements and rules which are often vague and complex. To ensure the best results for their clients, TC works as a team— “when you contract with TC, you contract with the entire team of support resources including industry experts, architects, DBAs, developers and policy engineers,” notes Danielle. Their team approach allows TC to bring to their clients’ deep knowledge based on experience with multiple client issues and solutions. This allows TC the flexibility and creativity to identify the best solutions to get the job done in the most efficient and cost-effective way.